Your furnace is a valuable asset to your family. But as it gets older, wear and tear are bound to set in. Your utility bills will start to soar, while the comfort of your home plummets. You can prevent this with furnace maintenance in Avon, IN, and the surrounding areas. 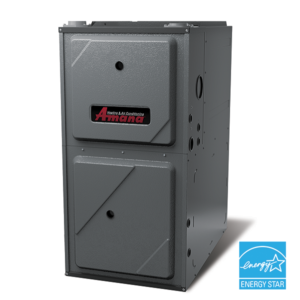 Of course, there are tons of benefits that make getting furnace maintenance in Greenwood, IN worth it. For example, imagine your furnace stopped working today. You would probably breathe a sigh of relief remembering that you are under a manufacturer’s warranty. But did you know that this is void if you can’t prove that you have adhered to regular maintenance check-ups from a reputable contractor? There is a host of other benefits as well. For example, as your unit gets older, parts start to slip, while others don’t move as much as they used to due to friction, and the performance of your unit slowly fades away. HomePro Heating & Cooling is able to prevent this from happening. In fact, by the time we leave, we can almost guarantee that your furnace will work as good as new. Saving you a fortune in the long run, and improving the overall lifespan of your unit. Our N.A.T.E certified technicians will be able to perform a thorough, top-tier furnace maintenance in Plainfield, IN, and the surrounding areas. They are trained to pinpoint even the smallest of problems that could be a cause for concern in the future and eliminate them. If you are finding your unit is more sluggish, and your home is less comfortable than you would like – we are one call away from rescuing you. All you need to do is reach out to our support and schedule an appointment at a time that is convenient for you. You can reach out to the team by visiting our Contact Us page. But if you prefer a more direct approach you can also get in touch with us by calling at 317-271-2665. We look forward to hearing from you.